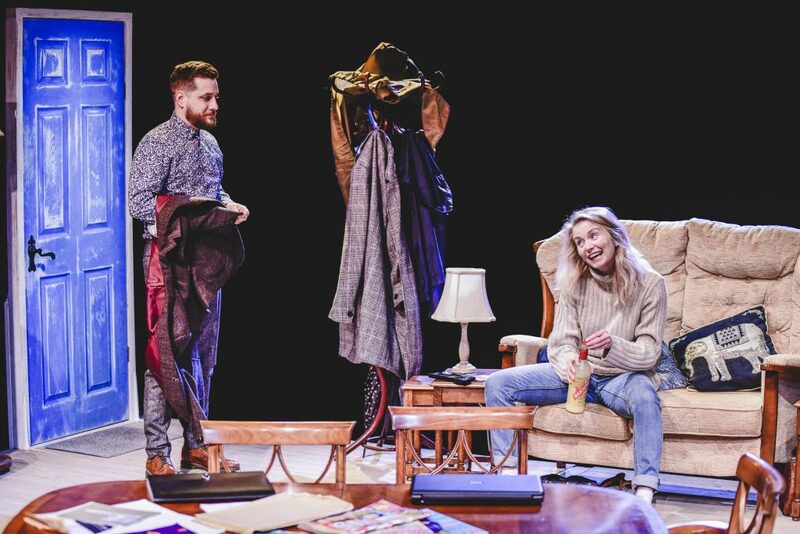 A new Welsh play produced by Chippy Lane Productions, a theatre company championing Welsh and Wales-based creatives. Set in Carmarthenshire, a few miles from the coast, we meet the Williams family battling to come to terms with their absent father/husband. But when an old acquaintance unexpectedly comes back in to the children’s lives, he awakens their need to escape. 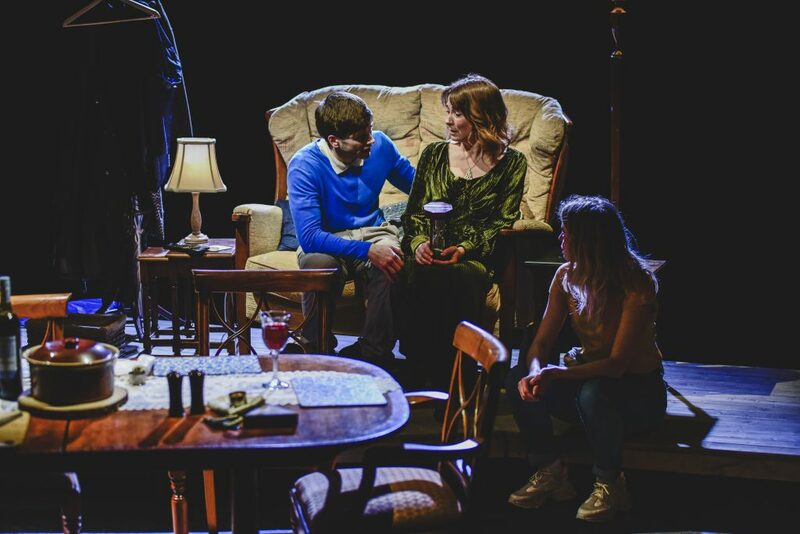 Blue, plays out over one evening at the Williams’ residence, where we meet mother Lisa (Nia Roberts), son/brother Huw (Gwydio Rhys), daughter/sister Elin (Sophie Melville) and Thomas (Jordan Bernarde). We’re immediately introduced to Huw and from the off you get a sense of the loneliness as if there’s something missing. Huw gravitates towards the ornaments on the bookshelf, whilst trying to figure out the significance we get introduced to his sister Elin, the polar opposite to Huw. Elin fresh from returning from London bumps into her old teacher Thomas at the local pub and invites him back to the house for what I can only be described as the after party. Unexpectedly for Elin, there was no alcohol in the house, just… well, I won’t spoilt it. But most importantly mother Lisa returns home shortly afterwards to scupper any further plans. This begins the evening of misunderstanding. Writer Rhys Warrington explains he sought to write a play that tells the stories of the people who are left to care for family members. These stories therefore become the beating heart of the play so to speak, he sought to not only write a play that would not only hold a mirror up to this issue, but one that would spark a much-needed conversation. That being said, the play does contain the occasional joke and quick quip which softens the serious subject matter. It’s true to say, in some occasions if you don’t laugh you’ll cry and this is evident here. The development of Huw from start to finish is worth going to watch alone. 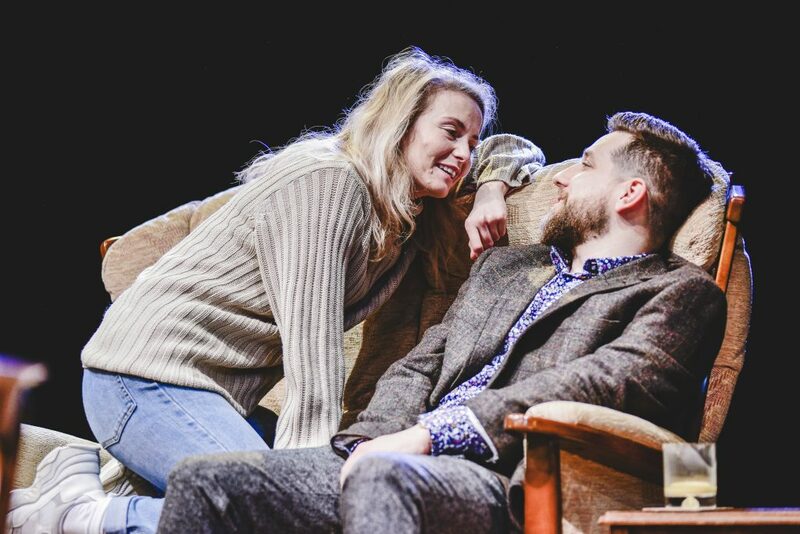 Gwydio Rhys is almost the driving force of the play, when he finds his feet in the later stages the dynamics of the family change. He is no longer this quiet boy in his online world, he finds his voice and delivers a heart wrenching secret that almost shatters the family. 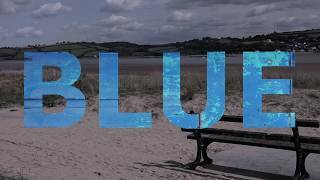 There were moments in Blue that reminded me of the fishing trip in Gavin and Stacey in some ways, the family speak of the father through-out without you really knowing what’s happened. You can begin to piece together what they’re talking about from subtle hints but it’s not until the climax you get a true understanding of what’s happened. 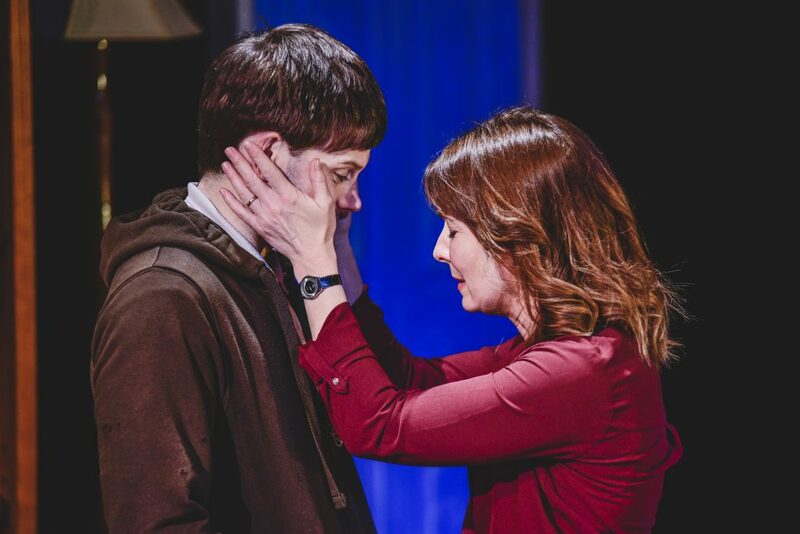 Blue runs till 16th February, please find tickets here. Photos courtesy of Kirsten McTernan.